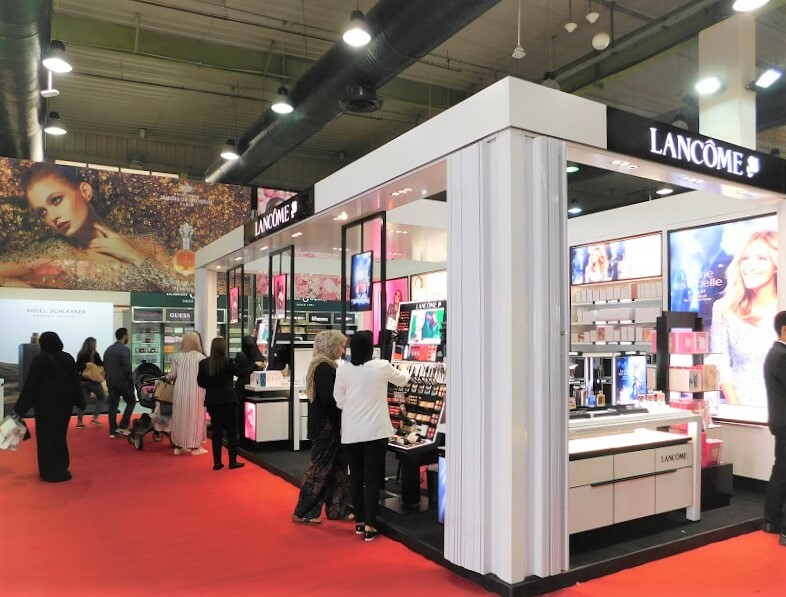 I was on a perfume kick for some reason (as evident my previous posts), and was checking out the Lancome fragrances at the Beidoun booth, when the Filipina sales assistant approached me. There were a ton of products I was interested in, so at first, I not only welcomed the assistance, but might’ve even been grateful for it. However, it quickly became evident that this lady knew next to nothing about any of the products, and just wanted me to purchase the more price-y and expensive items. It did not help that I was lugging around several shopping bags from different booths (which obviously gave her the impression that I had no problem dropping some dough on this stuff). I tried to shake her off, but as you can see, it was a relatively small booth and there was nowhere to run, so she shadowed me until the bitter end. Even though I believe my command of the English language is relatively decent, she insisted on speaking to me in broken Arabic, or broken Kuwaity rather. She even kept referring to me as “Habibty“. At first, I thought the whole thing was cute, but it got old pretty quick. Honestly, I would’ve have minded as much, if only her Arabic extended to anything more than “This is very pretty” and “This is very good”. If I was going to drop some dough, I needed to know what I was buying, and “very pretty” and “very good”, just wasn’t enough information, especially not when it came to skincare. Accepting the fact that she wasn’t going to leave me alone nor be helpful, I began picking up the products that interested me (not the products that she was interested in showing me) and attempted reading their backs (which more often than not, turned out to be in straight up francais… which I cannot read). She wouldn’t even let me do that! She’d keep interrupting me and try to redirect my attention towards other stuff (skincare for women who were much, much older because it happened to be much, much more expensive)! I didn’t have the time nor patience to be dealing with any of this anymore (I’d been up for more than 24 hours so I was low on patience and the entire place was about to close down… until March… of the next year), so when I spotted the display of festive-looking Gift Sets (which typically are good value for money), I headed towards them, with her following not far behind. I was looking at one of the lesser priced skincare sets (that targeted the eye area), when she noticed and grabbed one of the more expensive Eye Creams (the full-sized products that was not part of a set) and assured me in her broken Arabic, “This is very good”. I tried to be discreet about it, snuck a quick glance at her under-eye area and thought, “Nope”. It seemed like she was in her late 40’s and had all the accompanying eye issues (wrinkles, eye-bags, dark circles, etc…) which is a very normal part of aging. However, if this Eye Cream was so magical, how come she wasn’t using it on herself and benefiting from it, y’know? I thanked her and went back to browsing on my own, hoping she’d take the hint. To make matters worse, I did not realize (thanks in no small part to the sales assistant’s constant distraction) that the Skincare Set I’d picked up, actually included a deluxe sample of the Eye Cream which I’d also picked up in the full size. Had I realized this earlier, I wouldn’t have purchased the full-size of the Eye Cream. I could’ve tested out the mini, seen how I liked it and if I’d gotten along with it, and then possibly sprung for the full thing. I could’ve picked up something else instead, or just stuck with the Skincare Set and called it a day. I totally blame the sales assistant and her incessant chatter for the mistake. Oh, and as opposed to every single time I’ve ever visited the Beidoun booth, she was quite stingy with the samples! She given me x2 Lipsticks (in absolutely hideous and unwearable shades) and a single perfume sample lol After having to deal with her, I felt like I deserved a medal or a reward or something. So when I saw her take out the perfume sample for me (just the one) out of the large bag overflowing with perfume samples – despite the fact that it was the last day of the Perfume & Makeup Exhibition – I urged her to give me more. She started giving me this whole spiel about how the samples belong to the company and how it’s not hers to freely hand out to people. I insisted, pointing out that the huge bag of samples in the corner was practically overflowing. She relented and took one more sample out. Now, here’s the thing. I don’t even care about perfume samples, like, at all. So, I don’t even know what this whole power trip thing was all about. I just knew that she was very, very reluctant to give me a handful of samples and for some reason, I had decided that this (perfume samples that I don’t even actually care about) was the mountain I was willing to die on. This was where I was going to take a stand! After playing around with the skincare stuff that I’d purchased, I came to the conclusion that I actually kinda’ don’t like any of them lol except for the teeny-tiny Advanced Génifique Youth Activating Serum (7 ml). I’ll still continue to use them, to see if there are any actual long-term results, but I definitely won’t be repurchasing them ever again (except for the Genifique Serum). 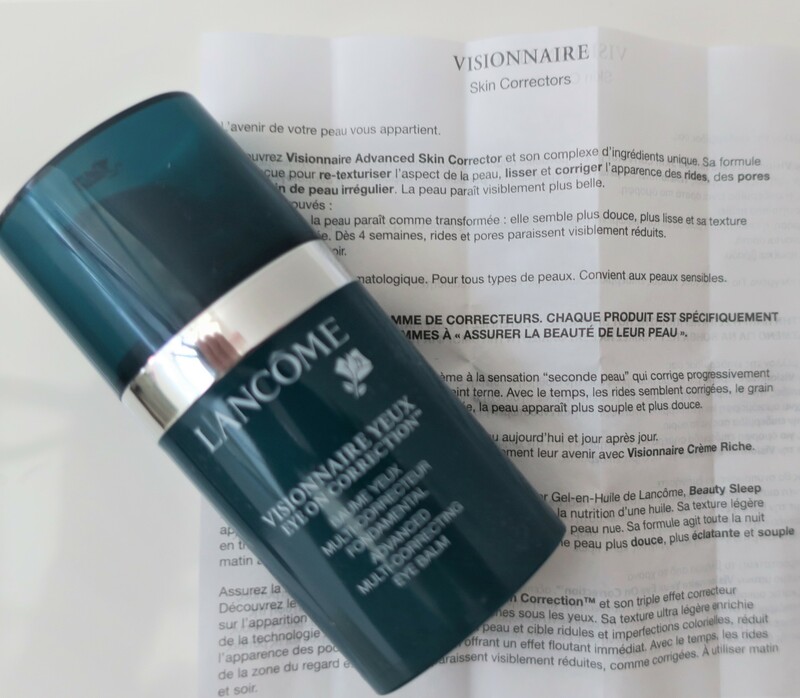 Visionnaire Advanced Skin Corrector is a fresh, fast-absorbing serum that instantly smooths skin’s surface after one application. After three days, pores are less visible and skin texture is improved and after 4 weeks wrinkles appear visibly reduced. Whether you are going makeup-free or prepping for makeup application, this smoothing serum leaves your skin perfectly smooth and ready to face the day. I got several samples of this stuff earlier (here) but don’t recall actually getting around to using them. 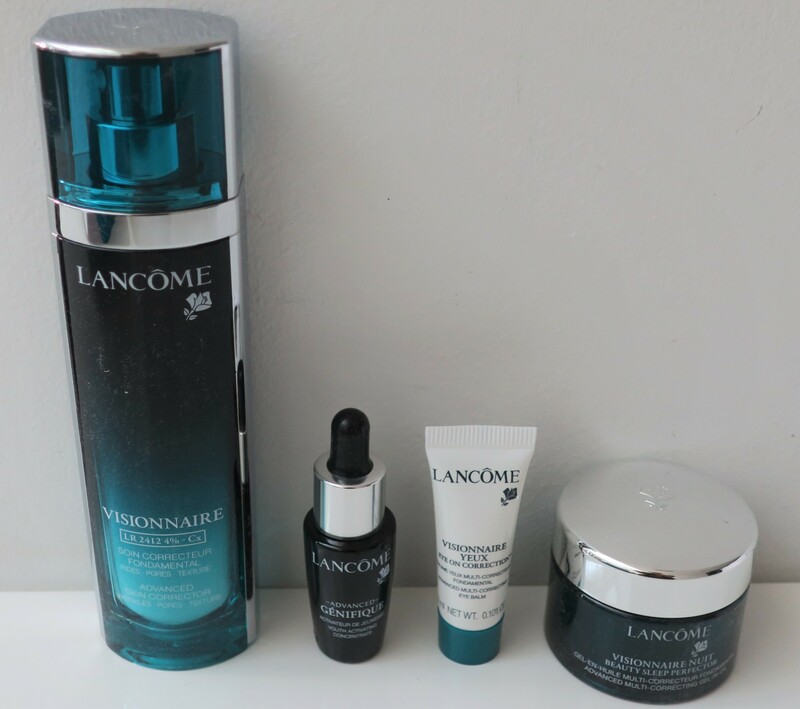 Rather than buying a single product by itself, I noticed that the Visionnaire Serum Routine Set (shown above) came with the Visionnaire + Advanced Skin Corrector Serum and a handful of other products (in deluxe sample sizes) as well. Not quite sure what’s going on with the physics equation on the front (LR 2412 4% Cx), but that’s why this stuff can also be simply referred to as Visionnaire Cx. As far as I’m concerned, this stuff was just another Primer. They can call it a serum all they want, but it’s even got the exact same silicone-y feel that most makeup primers tend to have. Also, just like most primers, it makes your face feel all soft and smooth (forming a nice base for your face makeup). Unfortunately, it has a tendency to pill, which is also another thing most primers tend to do. Personally, I find the packaging to be pretty cool! Unfortunately, I can’t stand the strong perfume-y floral scent of this stuff. Overall, I much prefer the Drops of Youth Wonderblur purchased from The Body Shop (haulage here), because it performs the same, but smells nicer and costs way less. No regimen is complete without Advanced Génifique, the first step to every beauty routine. This powerful anti-aging serum works to improve skin’s key signs of youth: radiance, elasticity, firmness, skin tone, and smoothness. See visible results in just 7 days. This patented formula, which contains Bifidus extract, helps strengthen and protect skin’s moisture barrier. The bottle features an exclusive self-loading dropper for the perfect dosage of serum with every application. This serum is designed for every woman, all skin types, and multiple ethnicities. Awwww da’ baby! So stinkin’ cute! Okay cuteness aside, this is the fastest absorbing product I’ve ev~er tried! I’m talkin’ seconds here, not minutes! I mean, based on that alone, this was a total win for me! Whether you were going to be applying skincare or makeup over this stuff, you could just go right ahead and do it… immediately afterwards! There literally is no dry-down period, because as soon as you apply this stuff, it’s instantaneously absorbed by your skin! Also, I’m not sure if it’s because this thing was so tiny, but I couldn’t detect any horrible floral-y scent (unlike all the other products), or any scent at all! It came with a dropper (as most serums tend to do), ensuring a “perfect dosage” which was quite convenient! I applied two drops to half my face and left the other half bare, so I could compare the two. Basically, my face loved this stuff!!!! Forget absorbing instantly, this stuff also gave me instant results! My face looked positively radiant! Yeah, once my Farsali Unicorn Essence (haulage here) runs out, I’m definitely repurchasing the full size of this stuff! I had high hopes for this baby, but was sorely disappointed. As I’d stated earlier, I wanted to incorporate a decent Eye Cream into my skincare routine, that would give me long-term results. Instead, I ended up with exactly what I did not want. 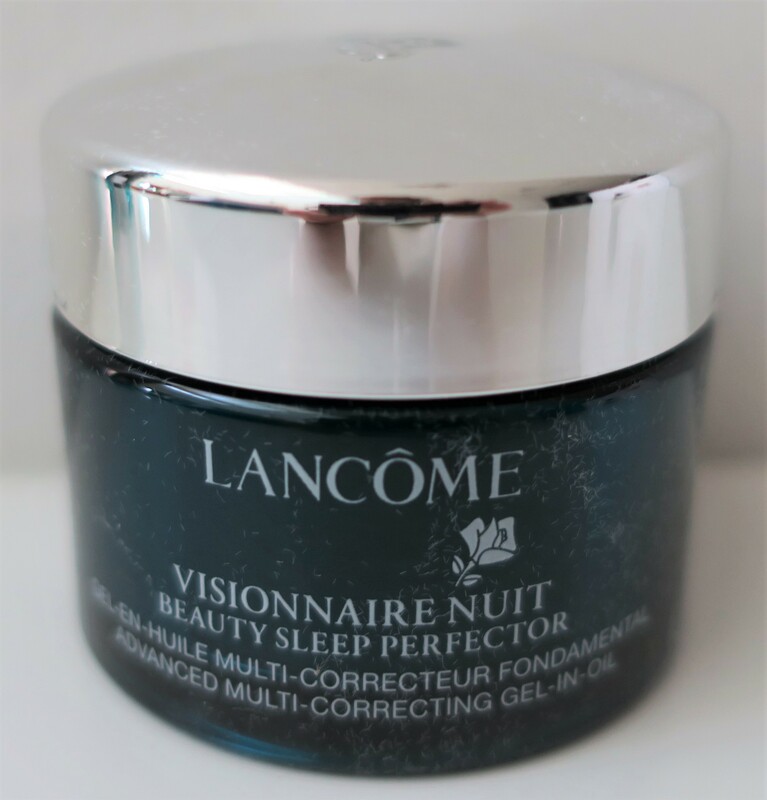 This stuff was one of those caffeine-based instant de-puffing Eye Balms (I mean, it wasn’t even an actual Eye Cream, it was an Eye Balm). You could pick up the exact same thing from MAC or from Soap & Glory at Boots or Garnier and so on, and get the exact same result. Also, this stuff smelled all floral-y and horrible. If all that wasn’t bad enough, it had glitter (which I guess what they meant by “HydraBLUR technology” lol). I dunno’ ’bout you, but I don’t tend to appreciate having glitter in my skincare. The glitter gets everywhere (which is annoying)! The cherry on top, was the fact that I’d also purchased the full size of this stuff, in addition to this mini! This was much too fragrant for my liking (floral scent) and felt a bit too heavy on my skin as well. I was all set not to like this stuff, but a few minutes later, the uncomfortable heaviness and greasiness was completely gone! I was happy about that, because it set my mind at ease (I didn’t have to worry about this stuff getting all over my pillows – which has happened before, with some of my heavier and greasier sleeping creams – which just irritates me to no end). That said, I woke up to dry skin (same old, same old), which meant this stuff had zero effect on me. I can’t say that that was not disappointing. 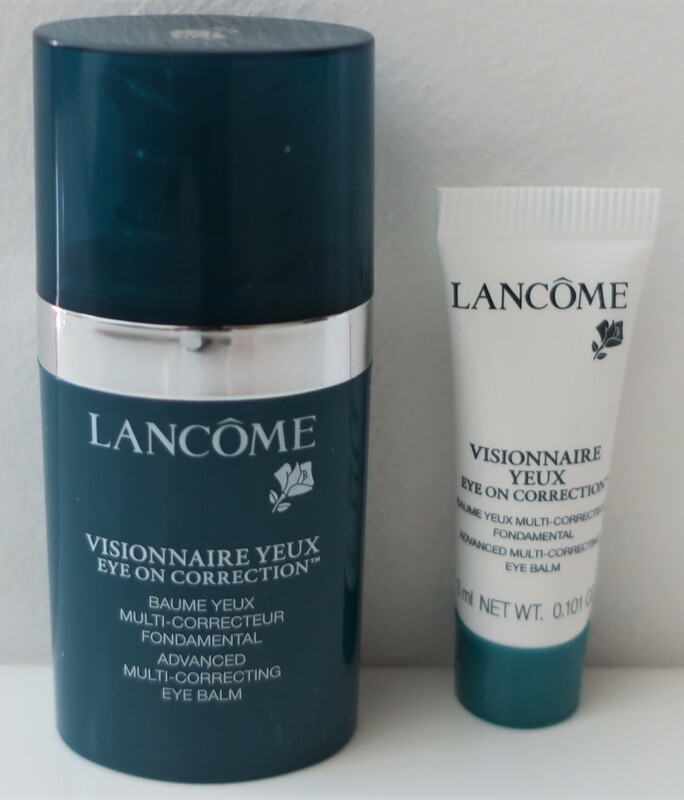 I guess even the all-mighty Lancome is no match for my dry skin. I’m thinkin’ this stuff might work better for those who have oily skin, but if you’ve got dry skin (like myself), then you’d probably wanna’ skip this thing. Glittery Eye Balm that delivers very instant yet very temporary results. Pretty cool packaging, but pretty bad smell. Hopefully, I’ll start seeing some long-term results, but if not… oh well! So I had a deluxe sample size and a full size of the same effectively useless Eye Balm, thanks in no small part to the sales assistant’s distracting incessant chatter. As you can see, the lipstick shades are ugly as sin! I’m definitely not going to use them and it would be wasteful to trash them (because other than their ugly shades, they seem to be perfectly fine), which means I get stuck trying to find someone who was willing to take them off my hands. Fun! 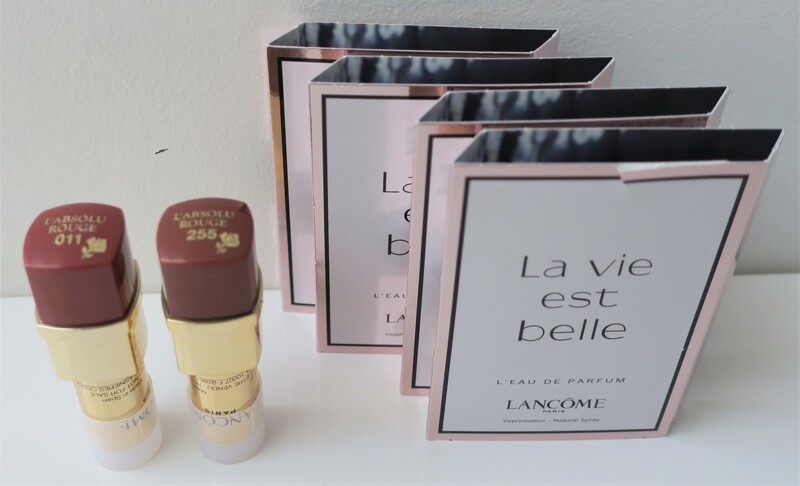 As for the x4 perfume samples which I’d managed to wrangle out of the sales assistant, they’ve been sitting in the Lancome shopping bag, from the day I got them. Come to think of it, La Vie est Belle was one of the perfumes I’d asked the extremely nice sales assistant for (the one that bled for me, here), when I’d purchased several perfumes at Sephora as gifts for others. I kinda’ don’t know which is which (the other 2 perfume samples I got at that time were definitely YSL Black Opium and probably Gucci Guilty or Gucci Bamboo) so I kinda’ haven’t touched any of them. Also, perfumes aren’t really my forte. 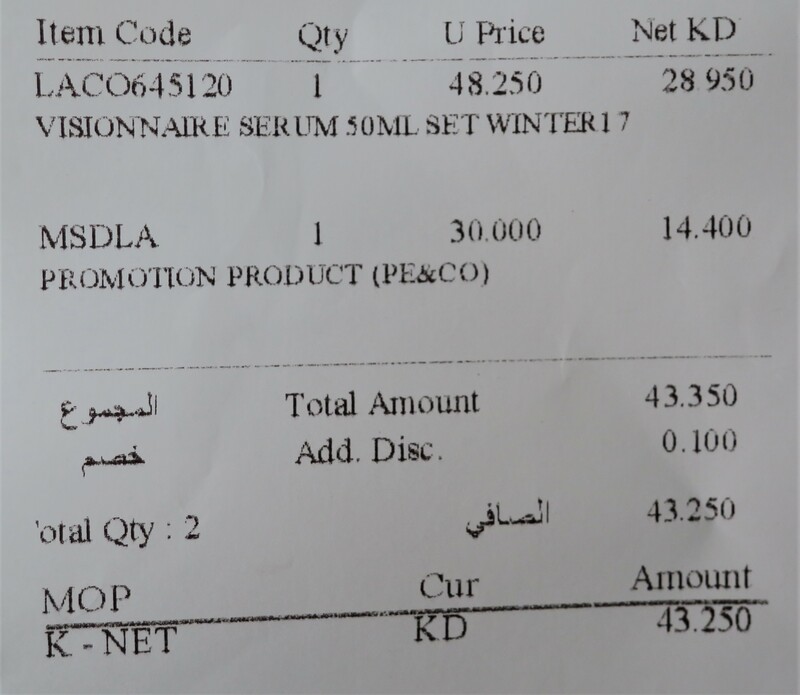 So instead of getting everything for KD 78/250 (I mathed) I ended up getting them for KD 43/250 which I’m still not happy about, since the Set was from last year and for all I knew, probably the Eye Serum too. I mean, the Skincare Set came hurriedly wrapped in dodgy plastic (not unlike something you’d expect from E.L.F. ), and all the products had fluff all over them (which you can see if you click on the pictures to enlarge them) and were quite dusty! For that price, instead of getting a whole bunch of skincare I didn’t like, I could’ve gotten yet another perfume (see previous posts) that I didn’t like lol Funny enough, the only thing I really liked, was the tiny thing of Advanced Génifique Youth Activating Serum (7 ml) from the skincare set! In all my years of shopping at the Beidoun booth (decades and decades), this was hands down, the worst experience I’ve ever had (thanks to the obnoxious sales assistant)! I was annoyed enough to seriously reconsider ever going back there again (if you think about it, Lancome is pretty much sold everywhere, from Sephora to Debenhams).